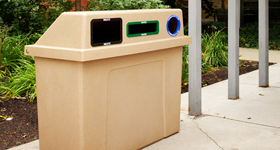 Customize your own recycling and waste bins with our easy to use Build-a-bin online tool! 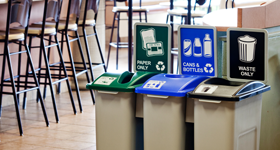 Looking for some customization inspiration for your recycling and waste bins? Check out these containers! We've got a lot of accessories for our recycling and waste bins. Click here to find the perfect add-on for your container! 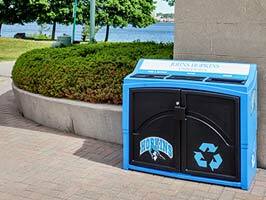 Customize your own recycling bin with our easy to use “Customize Now” online web resource. 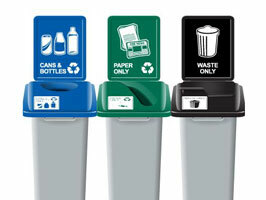 With “Customize Now” you can fully customize and visualize your recycling bin before you place an order. 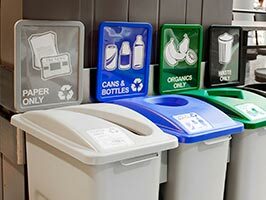 All you have to do is select the bin you wish to customize, choose the features you’d like such as openings, lids, labels and colors, and then submit it to one of our friendly customer service representatives for a free, no obligation quote. 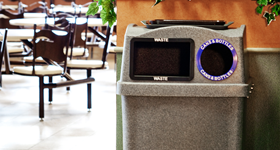 We’ll contact you as soon as possible and can ship your new custom recycling container right to you. Happy customizing.